Infinity Belief® – Focus upon the life that you choose to grow. The quality of all our relationships including our relationships with our partner, others and money is determined by one element and our relationship to that one vital element. That element is “LOVE”. In her book, “Embraced by the Light”, Betty J. Eadie discussed her awakening at a soul level after leaving this earth upon haemorrhaging after giving birth. Yes, she died and then wrote her first book. Not the best way to write I know, however highly insightful on Betty’s part. Betty’s death delivered her to what she called, ‘Heaven’. I’m sure you’ve heard of it. There she explained being presented before ‘The Council of Men’, among the Circle of the Wise, 12 men whom had ascended to the highest order of spiritual awareness. Standing before a kidney shaped table, she stood in the indented part of the table and here she was allowed to ask any question of these exalted spirits. To write the book of course, Betty returned to her body. She recalled all of her questions, but was only able to remember some of the answers. Betty of course asked the biggie – “Why are we here?” The answer to this question was simple in its answer, yet profound in its deeper meaning. The answer was, “To Learn to Love”. Love all people, the air we breathe, the earth we walk upon, the water we drink, everything. And our relationships provide the opportunity for us to achieve this. To learn to love however, means we must at first direct our love, our deepest respect, the highest level of kindness toward ourselves as loving others without self-love is neediness and counterfeit. If we love ourselves and create a relationship with another, then our love will be strengthened and we will be united at a spiritual level as well as an earthly one. Betty J. Eadie said, “We are all collectively bonded to each other while on earth, united in this one supreme purpose – to learn to love each other, the highest of energy is love.” Love is the energy to heal ourselves and to heal the planet and unite our energy as one. It is no surprise that many diseases are derived of anger, a lack of understanding and an inability to love others and particularly oneself. I have seen cancers dissolve in love. Multiple Sclerosis loosen its hold through love and Chronic Fatigue give over to energy through love. Kinesiology is the practice of muscle testing to identify imbalances in the body’s structural, chemical or emotional energies while locating blockages in energetic flow. Muscle testing is often achieved by testing the strength or resistance of a patient’s arm held outwards and having placed pressure upon it. In David Hawkins’ book, “Power versus Force” he states, “Some ideas are so weakening that merely holding them in mind makes a test subject unable to keep up his arm at all. Powerful patterns are associated with health; weak patterns are associated with sickness, disease and death. If you hold forgiveness in mind, your arm will be very strong. If you hold revenge in mind, your arm will go weak.” Betty J. Eadie’s book, “Embraced by the Light” confirms that we shall eventually have to accept responsibility for every thought, word and deed we beget and re-experience exactly whatever suffering we have caused. In this sense, we create our own heaven or hell. The purpose of all relationships is ‘Understanding’. The point of Understanding is to learn about ourselves by relating to others. The more we learn about others, the more we discover about ourselves. Our senses are designed to distract us, delude us. We only believe what we see, hear, smell, touch, taste and think. Our senses also tell us we’re different. Others look different, sound different, smell, touch, taste and think differently. Learn to love all experiences and become curious to their meaning. Ask 4 questions in the first 20 minutes – You’ll seem younger, taller, thinner. Let the speaker finish their words before you speak. Many of our beliefs are developed during the imprint period (0-7 years). And many of our relationships end at the peril of some of our negative beliefs. 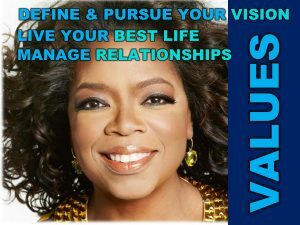 Our values are the rudders of our lives and determine our direction. Many of these values were determined through ‘The Ages of Humankind’ and became social norms, rules, laws and mantras as to how to live on our planet. Our relationships teach us to connect with ourselves by understanding all that we are, by understanding all that we are not. Our relationships also are teaching us to manifest all that we desire by learning to love. Infinity Belief® – Being conscious is realising that you control your thoughts; your thoughts do not control you. Australian surfing legend and two-time World Champion, Tom Carroll said, “Once I was able to control my thoughts and get my thoughts to focus upon my performance and not on my competitors, my performance improved and I began winning.” Without being conscious of them, your thoughts are often like dust in the wind, scattered and rarely focused. Psychology Today Magazine stated that we have up to 50,000 thoughts a day and 80% of them are recycled over and over again. That’s a lot of thoughts going around in our heads. Silly as this may sound, we often have thoughts without being conscious of them. Unless we are conscious, our thoughts drift from stimuli to stimuli, moment to moment, event to event. One moment there’s a song in our head, the next we’re thinking about an event that happened years ago. Suddenly a car screeches past and we’re thinking about the driver or admiring the car, a second later we’re wondering why our boss didn’t give us that pay rise and we get angry. This is certainly not the best way to control your state. Imagine 50,000 thoughts from one moment to the next shooting off in all directions like golf balls, ricocheting off the walls of your mind. No wonder you’re tired! Even unconsciously, your thoughts are determining your day and ultimately your experiences. In fact, they have led you to this very point in your life. Are you happy with where your thoughts have taken you so far or would you prefer a new destination? If so, where would that be? Where would you prefer to be right now, this very minute? It is time to wake up, be conscious by magnetising the thoughts that will lead you to your chosen life, connect to Infinity Belief®. If you think life is a series of accidents, you will have many accidents in your life; think again. The mind cannot serve you until you direct it, focus it. Those who consciously manifest, get what they choose. Those who do not think to choose, attract unconsciously. Like walking along a pier blindfolded, your scattered thinking may lead you into uncomfortable and undesirable situations. Determine where you’re going; become conscious of your thoughts. While some people find it difficult to focus, meditate or even hold a single thought without being distracted, know that to master any skill you must be conscious of the learning and with practice, it will become easy. listen, rather than react to your thoughts. This practice alone will develop and heighten your awareness. You will become separated from your thoughts, a silent observer of them if you like. Wake yourself up every now and again, become aware of your surroundings, open your eyes and start looking as a curious child does. Stop walking around with your eyes focused on the path in front of you. Believe me, it’s safe. You won’t fall down or trip, but you will notice how few people look around them as they walk. They may be focused on their future or their past, but they are rarely focused upon their present. Know this; your thoughts do not control you, you control your thoughts. Set an alarm on your clock, the computer or your watch to remind you to wake up and become conscious. I used to get angry when other motorists cut me off or when people would dart out in front of me when walking. I thought their actions were deliberate until I realised what was really going on. They were unconscious! Most people have no idea what is going on around them and often offend without being conscious. Make time for your mind to be still, it will help you to become conscious and will aid your productivity. You’ll be amazed at how much time you seem to gain with daily meditation. Your mind will become clearer and less fogged by scattered thinking. If you don’t know how to meditate, I suggest taking a course. Or try this simple method. Choose a time in the day, maybe during your lunch break or at the end of the day. Find a quiet, comfortable place where you won’t be disturbed. Switch off your mobile phone and take the phone off the hook. Sit down and start the process of relaxation by taking deeper, slower and longer breaths. Repeat this process a few more times and gently bring your breathing back to normal. Focus on how it feels as you breathe in and breathe out and avoid thinking. You can do this with your eyelids wide open, half-shut or closed. I prefer to do this with my eyelids half-shut as I can see a slightly blurred vision of what is happening around me, but I’m not distracted by visual stimuli. Try meditating for 10 or 20 minutes and whenever a thought enters your mind, do not respond to it but release it. You will find this an energising and clarifying experience. Meditation is easier than you think (pardon the pun). Remember, you can simply change your thoughts; anticipate and believe that it will come to you quickly and easily. Think it easy and it will become easy, think it hard and it will become hard. Your greatest power is the power you gain by choosing to be in the present. Become conscious of your thoughts at this very moment and you become present. In being conscious, you can be selective about what data you absorb and who or what you choose to expose yourself to. I once heard someone say – Don’t walk away from negative people, run. The same applies to negative news. Remember that what you focus upon becomes larger in your life. Focus upon negativity and you draw more negativity into your life. Catherine Ponder, in her book The Dynamic Laws of Prosperity says, “Do not think, talk or act any way but prosperously. Do not allow others to talk to you in any way but prosperously. Do not read anything or take seriously anything that is printed or said that seems contrary to prosperous thinking. If you mix up your trend of thought, you set up cross-currents that neutralize your efforts of prosperity.” Guard your thoughts; be selective about the material you digest. You can read negative news or positive life-changing material; it is your choice. But either way it will affect you if you let it. When you choose to be present, you cannot do anything other than become conscious. Your thoughts are not in the past or the future, but in the present. In consciousness you expand your awareness of what is around you. Your sight is clearer, your hearing sharper, your touch more sensitive, your sense of smell and taste are more acute and your intuition is heightened. It is impossible to think about the past while you are present, while you are conscious. An excellent reference can be found in Eckhart Tolle’s book, The Power of Now. In the chapter on The State of Presence he makes a valid point about consciousness. “You can’t think about presence, and the mind can’t understand it. Understanding presence is being present. Try a little experiment. Close your eyes and say to yourself; I wonder what my next thought is going to be. Then become very alert and wait for the next thought. Be like a cat watching a mouse hole. What thought is going to come out of the mouse hole? Try it now. As long as you are in a state of intense presence, you are free from thought. You are still, yet highly alert. The instant your conscious attention sinks below a certain level, thought rushes in. The mental noise returns; the stillness is lost.” The start to a bright new future begins in the present, not in the past or the future, but right here, right now. A new future is the act of being conscious and thinking new thoughts. The new thoughts that you have right now, become your future. Being in the present is vital to Infinity Belief. You are not practicing Infinity Belief while your thoughts are focused upon the pains of the past or feeling fearful about something you have to do in the future. Remember all creation is state dependent and thinking of negative of fearful things can only bring about negative or fearful states. The power is in the present. Change takes as long as you allow the pains of the past to overrule your thoughts. If you speak of the future as if it is not here in the now, your mind believes that what you speak of is not here. Therefore, you unconsciously choose to reject your own words. When your thoughts are in the present, even deadlines are relieved of stress. Fear of not making a deadline is not being present. If you simply focus upon the task at hand, you trust that you will make deadline; it is the act of being present – what single thing do you have to do right now! Do not focus your energy on worrying about the future. While conscious you are receptive to the subtle clues and intuitive messages that help to guide you along your path. You can only achieve this by being present. Otherwise you will miss message after message. It is time to wake up. We have 50,000 thoughts each day, 80% are recycled. Your thoughts don’t control you, you control your thoughts. The mind cannot serve you until you direct it. Control your thoughts; be conscious of them, like an observer. Meditation will increase your clarity of thought and with it, your productivity. Allow your mind to be still. Change takes as long as you allow the pains of the past to overrule your thinking in the present. The thoughts that you choose to think about in the present become your future. THIS WEEK’S EXERCISE – Become Conscious. You cannot practice consciousness, you can only be conscious. Choose to be alert today or tomorrow and continue to raise your consciousness by listening to your thoughts. See what occurs around you and begin looking for evidence to prove that your dreams are possible. You’ll be amazed at what you begin to see and experience. For a start, you will reduce scattered thinking, the constant mental rambling that seems to go no-where. You could choose a regular time each day to allow your mind to be still. If 80% of your thoughts are recycled, then this means you are not making decisions, you are not drawing conclusions and it also suggests that you are thinking too much. Try to stop thinking for five minutes and you’ll see what I mean. Go ahead try it now. And then wait for an inspirational thought to come, and experience it. Have you ever wanted to learn more about who you are, perhaps understand your personality better? Dr. Phil gave this test to Oprah she got a 38. I’m sure you know the value of understanding your personality and who you are, as some people pay a lot of money to find this stuff out. Read on, this is very interesting! Don’t be overly sensitive as it is designed to uncover your true personality. The following is pretty accurate and it only takes two minutes. Take this test for yourself and send it to your friends and let them know who you are. Don’t peek but begin the test as you scroll down and answer. Answers are for who you are now…… not who you were in the past. Have pen or pencil and paper ready. This is a real test given by the Human Relations Departments of many of the major corporations today. It helps them get better insight concerning their employees and prospective employees. It’s only 10 simple questions, so…… grab a pencil and paper, keeping track of your letter answers. Are you ready to take the assessment? 8. Which of the following colours do you like most? OVER 60 POINTS: What’s your personality? Others see you as someone they should “handle with care”. You’re seen as vain, self-entered, and who is extremely dominant. Others may admire you, wishing they could be more like you, but don’t always trust you, hesitating to become too deeply involved with you. Learn to improve how other people see you – perhaps consider enriching aspects of your personality. 51 TO 60 POINTS: What’s your personality? Others see you as an exciting, highly volatile, rather impulsive personality; a natural leader, who’s quick to make decisions, though not always the right ones. They see you as bold and adventuresome, someone who will try anything once; someone who takes chances and enjoys an adventure. They enjoy being in your company because of the excitement you radiate. Learn to improve your decision making and increase your opportunities for leading an adventurous life – perhaps consider enriching your mindset. 41 TO 50 POINTS: What’s your personality? Others see you as fresh, lively, charming, amusing, practical, and always interesting; someone who’s constantly in the center of attention, but sufficiently well-balanced not to let it go to their head. They also see you as kind, considerate, and understanding; someone who’ll always cheer them up and help them out. Learn to take your life even further and enriching your mind. 31 TO 40 POINTS: What’s your personality? Others see you as sensible, cautious, careful & practical. They see you as clever, gifted, or talented, but modest. Not a person who makes friends too quickly or easily, but someone who’s extremely loyal to friends you do make and who expect the same loyalty in return. Those who really get to know you realize it takes a lot to shake your trust in your friends, but equally that it takes you a long time to get over it if that trust is ever broken. Learn how to get over hurts in the past. 21 TO 30 POINTS: What’s your personality? Your friends see you as painstaking and fussy. They see you as very cautious, extremely careful, a slow and steady plodder. It would really surprise them if you ever did something impulsively or on the spur of the moment, expecting you to examine everything carefully from every angle and then, usually decide against it. They think this reaction is caused partly by your careful nature. 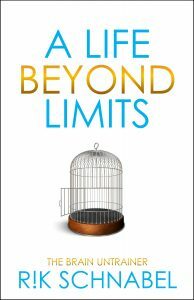 Discover how to be more adventurous and create a greater level of excitement in your life. UNDER 21 POINTS: What’s your personality? People think you are shy, nervous, and indecisive, someone who needs looking after, who always wants someone else to make the decisions & who doesn’t want to get involved with anyone or anything. They see you as a worrier who always sees problems that don’t exist. Some people think you’re boring. Only those who know you well know that you aren’t. Remove your worries and learn to live a more decisive life. Learn how to get the Leadership Edge; get free tickets here! Rapport Mastery: How I made $10,000 in 10 minutes! Rapport is currency. Rapport is bankable and an asset that most aspire to. Imagine if everyone around you liked and trusted you. So much so that they will want to promote you or at the least, choose do business with as often as they could. Read on and find out the secrets of the world leaders, the power brokers of the post modern age and the rapport masters. Relationships in a word is everything. In our personal and professional life, if we cannot relate well to others, we cannot build or create a relationship – it’s really that simple. Yet where in your education can you recall being taught how to master the art of relationship building? That’s right – never, no-where and no-one will have taught you this highly valuable skill. In fact, this information is usually exclusive to the well-healed leaders of a post modern society and hence, that’s why I guess they’re leaders. What you are about to learn and upon learning it myself, caused me to earn $10,000 in 10 minutes. After learning rapport, I made $10,000 in 10 minutes! As we moved from the educational institutions and were ushered into our careers, we wondered why we found integrating into the strange world of work so challenging. Gaining that promotion was so frustrating. Promotions were gleaned from those within the inner circle. Those that succeed seem to have a special skill, one that we couldn’t put our finger on it. “What’s so special about them?” we thought! For those that have never learned the art of Neuro-Linguistic Programming or NLP, you are about to learn that this special yet vital skill for success is called “Building Deep Level Rapport.” Building Deep Level Rapport is learning how to read the unspoken language of the body. The non-verbal communication, the appropriate response. When used correctly, others around you feel comfortable in your presence. Imagine if you could discover a way to help your boss to feel comfortable in your presence or create deep level, harmonious relationships with your clients? By learning and applying Deep Level Rapport skills, I found an amazing shift occur between a potential key client, where previously I had little rapport. Upon realizing my client was Auditory Digital (they thought in their heads – a lot), which means he was more statistical and into the details than I was. I changed my language from my usual fast-talking Visual (I think in pictures) way of speaking and became more like him. In less than 10 minutes, he was signing a $100,000 contract of which I made a hefty 10 percent commission. That’s how I made $10,000 in 10 minutes! These skills are hugely powerful and I’ve included a summary of them below. Should you wish to master these skills, you will learn them in our NLP Practitioner – Level 1 Course and to find more information – click here. Deep Level Rapport in simple terms means that if you’re like someone, they are more likely to like you. The basis for rapport is that when people are like each other, they like each other. The two primary ways in which people gain rapport is through Matching or Mirroring (see below). Studies illustrate that the communication between people breaks down into three areas. Words count for 7% of communication, Tonality was 38% and Physiology 55%. Albert Mehrabian is responsible for this percentage breakdown detailing the importance of nonverbal communication channels compared to verbal channels. We can match a person’s posture or we can mirror exactly a person’s posture. Mirroring is like you are their reflection. We can mirror or match a person’s voice and posture, blinking and facial expression, words and gesturing, physiology and position. For example if we are mirroring, when a person tilts his head to the left, we should tilt the head to the right, just like a mirror. Matching is when they tilt their head to the right and you tilt your head to the right. Mirroring is however a deeper level of rapport. Align your posture similar to the curvature of the spine. When you sit across someone, you can assume a mirror position of the hands, legs, head etc. When a person talks, you can observe the gestures used and hand movements. You can use the same gestures when responding back. However, do not try to imitate every gesture every time, otherwise it will look like you are mimicking them. When a person is talking simply notice the gestures used, and use them when you are responding. Rapport is the connection between two or more people. 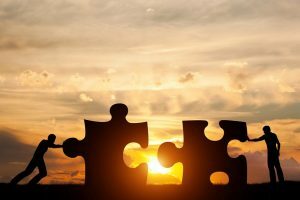 By having rapport with someone, you achieve much deeper levels of connection, however without rapport, relationships can unravel and become near impossible to achieve. To be a master communicator, it is important that you understand the varying styles of communication and adapt your behaviour appropriately so that what you communicate is received in the way you desire. Remember, the meaning of the communication is the response you get. Think of people with whom you get on very well. Notice the kinds of words and body actions they use. Also, be aware of their speed of communication and volume. Do they speak in pictures more than they speak using words that describe feelings, sounds or do their words seem detached from emotions, using terms that suggest a process? You will probably notice that those you connect best with naturally use a similar style of communication as yourself. People like people like themselves or how they would like to be. When we want to improve our communication with someone, the primary way to do this is by matching and mirroring them. This is the replication of what they are doing either exactly or as a reverse i.e. if you were facing them and they lifted their right hand, then you would lift your left hand to mirror them, and right hand to match them. The modality is a person’s preferred sensory method of taking in data and these are Visual, Auditory, Kinesthetic or Auditory Digital. By realising someone’s modality preference, it is possible to communicate in a way in which they see, hear, feel and understand you best. Visual people describe their world in pictures or words that describe the qualities of pictures such as: bright; colourful; dark; dull; look; picture; seek-out; see, etc. Auditory people describe their world in sounds or words that describe the qualities of sound such as: loud; soft; raspy; clear; hear; listen; silent; sounds-like; blaring, etc. Kinesthetic people describe their world in pictures or words that describe the qualities of feelings such as: feel; grasp; touch; sense; soft; hard; full, etc. Auditory Digital people describe their world in pictures or words that describe the qualities of thought and understanding such as: think; understand; process; analyse; systemise; be mindful, etc. When we replicate the physical actions of another such as their hand movements, posture, facial expression, eye blinking rate or movements, it undeniably sends a message to their unconscious mind that we are like them. Try matching a person’s posture and you’ll see exactly what I mean. They will start to feel, look and sound more comfortable. Your conversation will seem to flow. Deep Level Rapport can also be achieved by matching the way that they speak such as the tone, volume and tempo. If they use specific words you can often use these too. By using their verbal modalities (see above), rapport will be reinforced. By breathing at the same rate, from the same location (high, middle or low) as them, you will find a rapport shift in them. As this is a very subtle method, it can have a very high impact in creating highly valuable rapport. In addition, it allows you to create empathy of how they are feeling. If you are speaking with someone who is always talking about specific details, then by matching these words and topics will build instant rapport. Similarly, if someone is always talking about the bigger picture, then do likewise to build rapport. Alternatively, if someone is always getting into the details, then chunk down into the detail and watch your rapport build. If someone talks in twenty second chunks of information and you respond with a two second answer, you will break rapport. You will need to respond in around a twenty second chunk of time. By matching other people’s similar interests, rapport is built very quickly. Matching hobbies, backgrounds or beliefs is what we stereotypically determine as rapport. This is what usually builds relationships when they first begin. This used to be the only level of which rapport used to be built until more sophisticated understanding pursued. If you care about others, it is uncanny how others seem to care about you. All good rapport begins with good intentions for the other person. To test whether you are in rapport with someone, you can become aware of their reactions to your communication. This is called calibration. By watching how they react to you in these minute ways, you can change your communication with them accordingly. For example; drop your arm down by your side and see if they do the same. If they do, chances are you are in rapport. If you are both speaking quickly and you slow down your pace and they do too, you have rapport. Another way to understand this and to determine if you have rapport with someone is by noticing how their communication changes as you change yours.If someone is speaking very quickly and you match the speed and then slow down, if they also slow their speaking, then you are pacing them. By this rationale, if you notice someone copying you, i.e. they lift their glass just after you do, then you are pacing them. This is a powerful sign of rapport. By learning and applying Deep Level Rapport skills, I found an amazing shift occur between a potential key client, where previously I discovered upon learning these skills, that I had little rapport. Upon realizing my client was Auditory Digital, which means he was more statistical and into the details than I was, I changed my language from my usual fast talking visual way of speaking and became more like him. In less than 10 minutes, he was signing a $100,000 contract of which I made a hefty 10 percent commission. These skills are hugely powerful and I’ve included a summary of them below. Should you wish to master these skills, you will learn them in our NLP Practitioner – Level 1 Course and to find more information or phone: +61 3 8669 1121. To discover more about attracting what you want from life and get free tickets to The Leadership Edge – click here. Become a Life Coach: Could it be your door to happiness? Have you ever considered adding another highly-sought skill to your resume? What about a life coach qualification? Depression: How to stop it from stopping you? According to the World Health Organization (WHO), 350 million people worldwide suffer from depression. That’s 6.9 percent of the world’s population. Those are big numbers and it has been a mission of mine to educate and transform this disabling inability. If you believe you have ‘Depression’ I would like to share some strategies that I have used with my clients that has freed them from this suffocating ocean of sadness. In the hope to help, please read on. Could you have decided your destiny even before you were born? What if you decided what you needed to learn and besides the journey, you also decided the mishaps, the falls, the problems, the crisis and all the hardships along the way. What if by having these challenges we evolve our spirit along the way? So let’s look at how we can decide what destiny to choose? This is often called our “Why” and in WealthClub for instance, we have a saying, “Create a why that makes you cry generates the fuel to fly”. Create a WHY That Makes You Cry. Socrates and one of his students were strolling near a fountain one day and the student asked Socrates, “How can I become as wise as you?” Without warning, Socrates grabbed the student and pushed his head into the fountain and under the water. The student struggled to break free from his grip and quickly ran out of air. 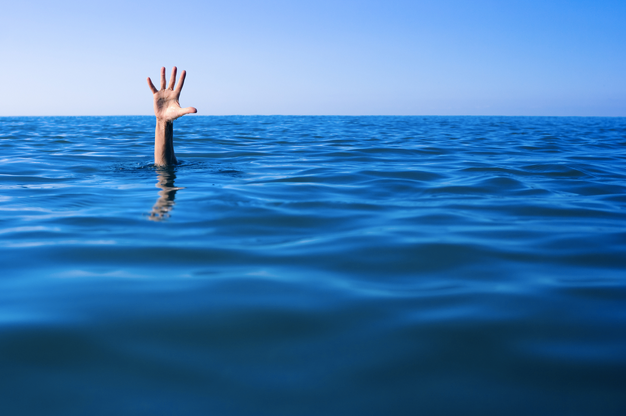 Socrates released his grip and the student recoiled from the water, gasping for air. When the student caught his breath, Socrates asked, “When your head was under the water, what was the thing you wanted most?” “Air!” the student answered, “All I wanted was air.” Socrates continued, “When your desire to be as wise as I is as strong as your desire for air, then nothing will stop you.” Socrates’ lesson, while brutal, is a brilliant demonstration of the driver behind all realised dreams; passion or your “Why”. Without a why, life has no meaning, no focus, no power; your life becomes routine, meaningless, unconscious and numb. By engaging your why, you activate your energy. When you identify your why you connect to a greater source and create such energy that it recruits the interest of others and stirs the Universe to support your efforts to make it real. Your deeper ‘why’ will lead you to your destiny. When I think about my daughters Zoe and Sienna, and about how much they and my family means to me, I can easily well up. Everything I do for a living, all my success helps my girls to have a great education, an entertaining life and creates more choices for them. What’s more, the better I become the better role model I become for my children and those around me. After all, we know that its not what you say, but what you do that provides the brightest light for all to see. Here’s a clue – Create a why that’s bigger than you and you will generate such enormous support and energy around it, that you will truly move mountains. When I receive the thank you’s in emails, letters (yes some people still write them) and text messages from my students, clients and audiences these are almost enough to make me cry. Though understand, that it took my 7 years of resistance to move into my current why. My current why? That’s right, you can have many whys and you can have whys at different times of your life. In my view, too many people look for an ultimate why not realising that one why can lead to another. I’ll give you an example. I started in advertising because I was both creative and had a huge fascination about how the mind worked. I started reading psychology books at the age of 7 – little did I know they were psychology books and I would suggest I didn’t fully understand what I was reading. So in my adolescence I found myself in my first why – The Advertising industry. Then my fascination moved me to marketing as my interest grew into social psychology and human and group behavior – again my why changed. Then I moved into sales as I decided that I needed to learn to understand people at a deeper level, not from research and media behavior, but at close quarters – one on one. I found myself so much closer to people and I discovered that I was a problem solver and I had been one all along. I discovered myself. Now I had to elevate my why because I saw myself now not just helping one person, or two but helping the masses but reaching them like I was talking to each one, one on one. I found my deepest love. It did not happen overnight, but like the ad says, “…it will happen”. While it might sometimes seem like your not in flow or on your path, trust that eventually (hopefully in this lifetime) you’ll discover your path. Though understand that this journey should be led by your heart and not your head. Yes, we do have a “heart brain” too. Your heart is your compass, your head works out how to get there. You will never decide your destiny by thinking about it. You will likely feel it instead. If you decided to follow your intuition for just a day and listened and responded to it each time you intuited something, you will get better and better at hearing your own inner compass. Have you seen the latest Jim Carey movie, “Yes Man.” In the movie, Carey’s character Carl is having some challenges, his life is not going so well. He’s been working in the bank forever, in the same job, with the same routine that’s boring him to oblivion. He avoids change at all cost and say’s “No” to everything. Until an enthusiastic friend corners him and escorts him to a self-help seminar. There he has him commit to say “Yes” to life. His life immediately changes and starts to look up. In fact, opportunities open up for him everywhere. Following your intuition, is like saying “Yes” to your inner guidance system and it can be the most empowering process of enlightenment. Try it and let me know how you go. Here’s your challenge – should you choose to accept it. Here are some questions that often help individuals to discover their why. If your why is important enough to you – consider putting aside some time now to answer these questions. Think about anything that you could be doing in life to advance you or others around you and notice the feelings that arise. Close your eyes and really imagine it or at least get a sense of it. 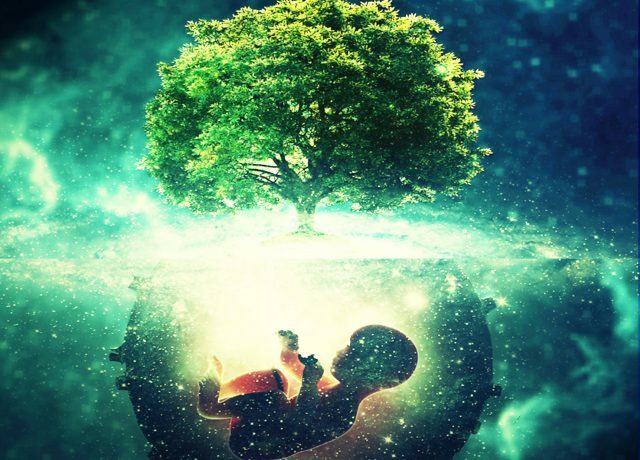 If you went back 1,000 years ago – How many people were born in order for you to be here? The final question is this. What legacy will you leave? Whatever you do, understand the value of your why and you’ll add the necessary fuel to have you find your wealth. Wallace Wattles will also provide another number of keys to wealth. He created pure insight and demonstrated his connectedness to a higher source when he wrote “The Science of Getting Rich” – If you would like to download your free copy – simply Click Here it’s great reading and I highly recommend it. This article is about wealth and again illustrates that gaining wealth is not just hard work alone. Mindset is a critical element that must be considered. Rohan Simmons, 40, works in a gritty field, running the Melbourne plastering firm South City Plaster. Simmons’s yearly turnover is $3.5 million. His success is embedded in his adherence to a range of rituals. For a start, Simmons (pictured) has been seeing a business coach weekly for the past six-and-a-half years. The coaching sessions have taught him to set short-term and long-term goals. He looks up to five years ahead and ensures every step he takes keys into his company’s vision, he says. 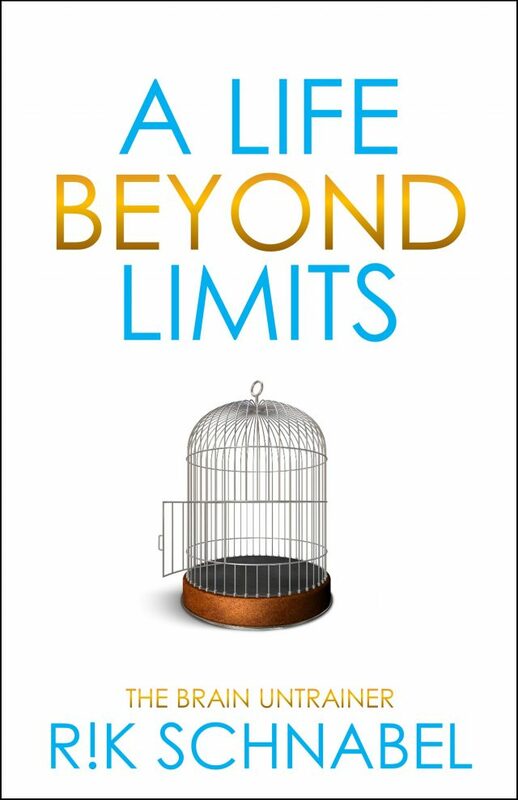 Another of his productive habits is attending neuro linguistic programming (NLP) seminars run by the coaching group Life Beyond Limits, devoted to overcoming stifling beliefs. According to the Life Beyond Limits website, every excuse for lacking wealth is a “finite belief” that can be changed. The impact of the informal schooling has been “huge”, he says. “With education comes confidence – and if you are confident you can make decisions based on knowledge not guesswork,” he says. No longer does he engage in “self-sabotage”, he adds, explaining that, before he wised up, he worried that hiring new teams would cause more stress. Now, he reckons that hiring staff fuels profit. So too do his key performance indicators. Think set task completion times, sales targets and conversion rates. Daily, his production team presents him with performance graphs. The overriding habit that pulls the picture together is consistency. A consistent performance from a small business owner ensures a consistent team performance, he says. This was an article written by David Wilson that featured in The Sydney Morning Herald on December 6, 2011. Our habits, beliefs, values and all the decisions we have ever made make up our neural blueprint. That schematic is what determines everything we do and don’t do and is found in the Unconscious Mind. So how can we create permanent change by accessing the bottom of our metaphorical icebergs? 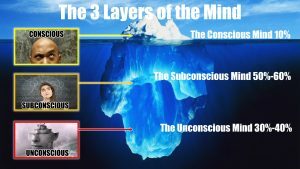 The thing we call the “Mind” is divided into three systems that each have their unique functions: the conscious mind, the subconscious mind, and the unconscious mind. It is useful to compartmentalise them, particularly when we are seeking to break a habit or to transform our thinking. The idea that we have three levels of mind is not new. Sigmund Freud, the famous Austrian psychologist was the first who popularised it. His theories have since been disputed in psychology circles, mostly because separating the mind into three distinct levels is difficult to scientifically prove. Though it does help us in the transformational sciences to use this model. So Freud created a useful model of the mind, the conscious mind or ego, the preconscious or subconscious, and the section that we will pay the most attention, namely, the unconscious mind. The Subconscious is much larger than the conscious and stores many of the things that you cannot remember consciously, but with some focus or meditation, you may just access your mother’s phone number for example, or where you left your car keys. It accounts for around 50-60 percent of your brain’s capabilities. For permanent change to occur, it must occur in the unconscious. 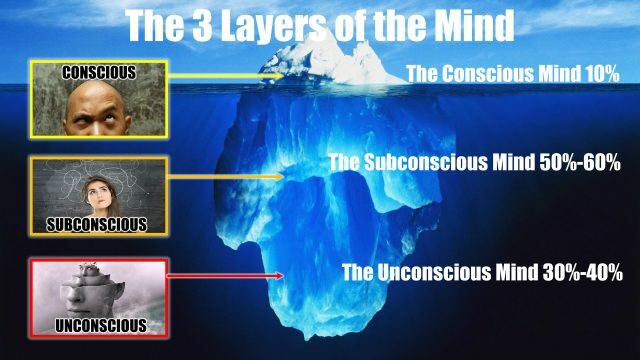 The next section, the area below the subconscious is known as the unconscious mind. It accounts for the other 30-40 percent of your brain’s capabilities. It is holds all your suppressed memories and is like the vault to all experiences. It is deep and vast, and is largely inaccessible to conscious thought, a bit like the dark depths of the ocean. Though using Neuro Linguistic Programming (NLP) and hypnosis, we can access this level of thinking. So let’s explore them in detail. The conscious mind is your being aware of the present. The consciousness mind is your awareness at this present moment. You are aware of something on the outside of you as well as some specific mental functions happening on the inside of you. Being aware of where you are right now for example, or the knowledge of your current emotional state, and if you are super conscious, you may even be aware of the timing of your heartbeats. Though can you recall the colour of the walls in the room where you awoke on your first birthday? Probably not. You’ll have to go deeper to access that. The subconscious mind is the holder of superficial memories. The subconscious mind or the preconscious is filled with accessible information. While you can’t remember certain things consciously, if you relaxed and focused your thinking you may recall information deep in your subconscious; an old phone number perhaps. Think of this as your access to surface memories. For example; while you had to be conscious of everything you had to do in order to drive a car when you were learning, that information is now stored in your subconscious. No doubt you sometimes wondered how you drove home, as you made a phone call or thought of everything and anything, but driving. The reason you can do that is thanks to your subconscious. The unconscious mind is the holder of superficial memories. The unconscious mind is the deep library of all your experiences. It’s like the library where you have read every book, yet their contents are vaulted in some deep, dark back room with a secret door. However, under hypnosis or deep level meditation all the books in your library can be recalled, though this access is not for the fainthearted. Unless you’re a trained NLP professional, access is denied. While the unconscious can seem like a black hole of unacceptable impulses waiting to trip you up, it is a resource awaiting perfection. It can be the source of hidden beliefs, fears, and attitudes that interfere with everyday life, though once given a spring clean, it can become a major allay to success. Most forms of psychotherapy including neuro linguistic programming aim to bring into conscious awareness many of these hidden hindrances, so that we can examine them and choose how to deal with them. The unconscious travels at over 300,000 mph! The unconscious mind has by far more data than the other two combines, so it must process information at lightening speed. It is the fastest operating segment of mind and is purported to travel at over 300,000 mph (482,803.2 km/h). During our childhood, as we climbed trees and created worlds of make-believe, we acquired numerous memories and experiences that formed who we are today. So within the vault of our unconscious live our beliefs, our values, unconscious patterns, subjective maps of reality, every decision we ever made and the source of every emotion we ever experienced. There is gold down there to be mined and garbage that should have been thrown out decades ago. It is for all of these reasons that NLP Practitioners and NLP Masters are highly valued because they are trained to open doors that have been shut for generations. They have a master key to transformation. Get the Unconscious Edge and learn how to master your thinking – click here.